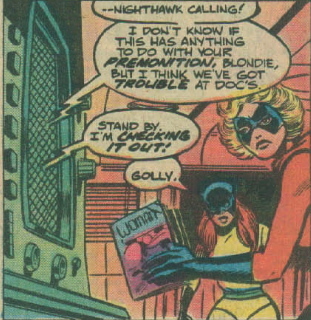 Ms. Marvel guest stars, and of course she’s reading “Woman” magazine. The story involves Ms. Marvel’s therapist, who knows her secret identity, being kidnapped by AIM who are using him to get information about her. The Defenders help Ms. M rescue him. There’s a bunch of other stuff that happens but I’ll tell you: It doesn’t make sense. D.C.’S CONVERGENCE EVENT: Does Anything Matter Anymore?